Hi friends! 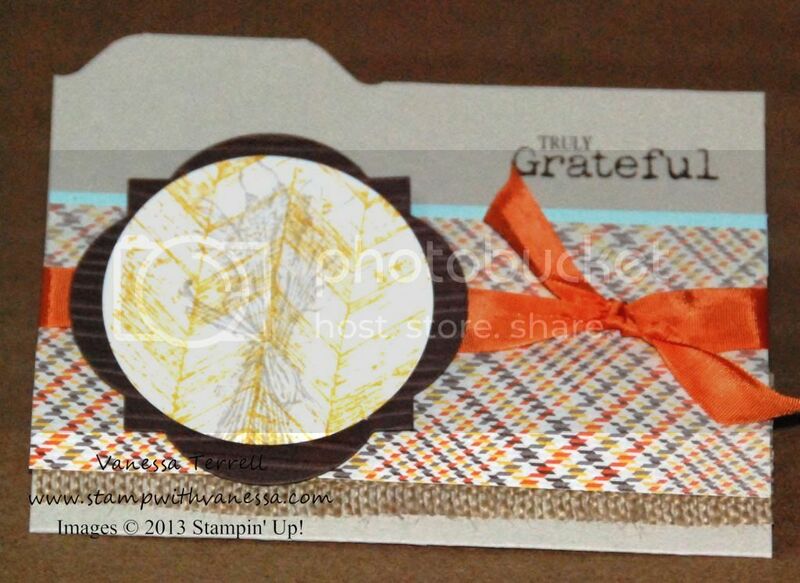 Quick card today using the Truly Grateful stamp set! I made a file folder card using the Envelope Punch Board...I'm really having fun with this new tool! Some other items I used were the Sweater Weather DSP, the fabulous Burlap Ribbon and of course I had to use my Big Shot...no card would be complete without it! If you don't remember how to make a file folder card you can refer back to this post. Here's my finished card, be sure and leave me some comments!